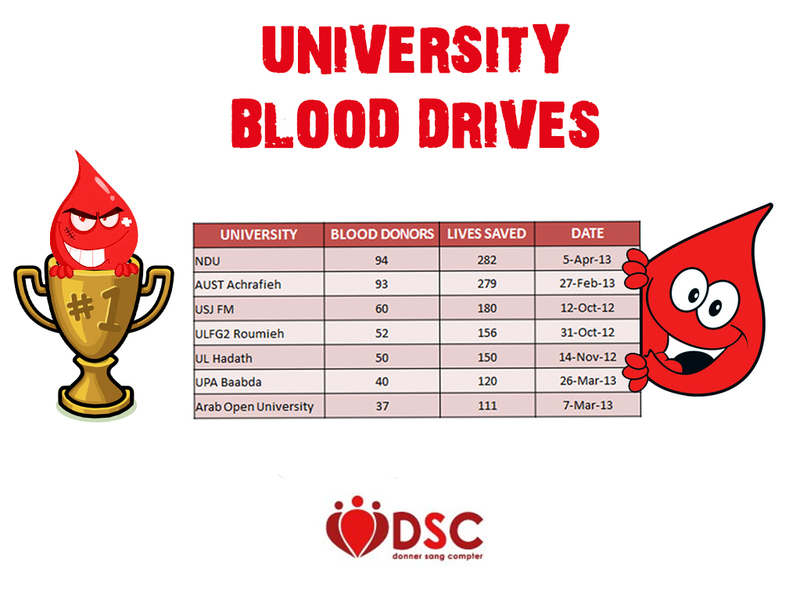 »Activities»NDU Tops The Pile With Exceptional Blood Drive! NDU Tops The Pile With Exceptional Blood Drive! 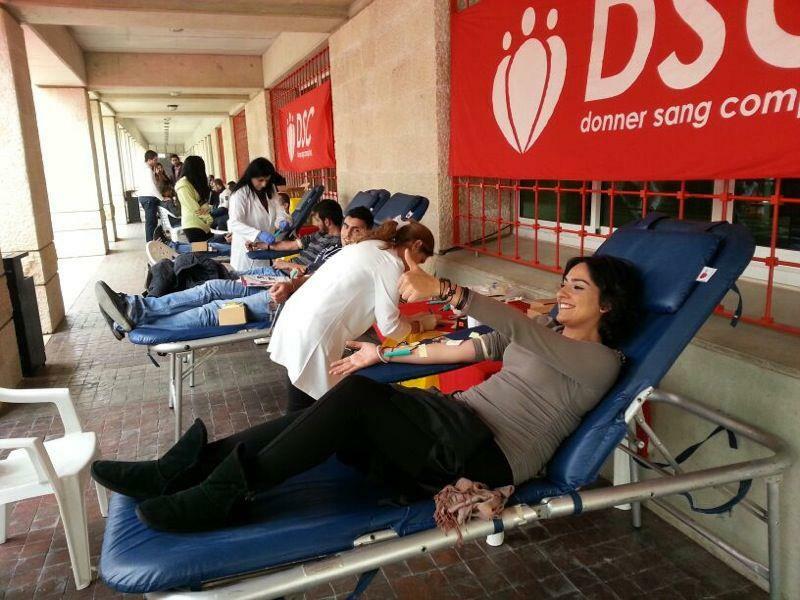 Last Friday, April 5, it was NDU’s turn for a blood drive, with the demands highly increasing around the different university campuses. The students’ response was phenomenal that day, with a huge total of 94 blood donors sparing the lives of around 282 patients. NDU was the first to open its doors to us when we started back on December 17, 2008. 4 and a half years later, it proved to remain that faithful, just as we expected. As for the 48 who were deferred due to lack of time, and all the other people who could not join us on that day, we promise you one thing: we will be back, that is for sure. Thank you for the amazing effort put into this drive and the awesome time you have given us! Moreover, to heat up the blood drives among universities, we’re launching a competition to get to see which one will bring home the biggest number of donors! This is where our current “Table Of Honor” stands at, featuring all the university blood drives we’ve done so far. We’re eager to find out if any shall make their way to the top in the upcoming weeks, and dethrone the NDU! ← Get Your Blood Tested Before Having Your Driving License!